On Veteran’s Day 2017, my husband Kevin (a U.S. Navy Veteran) and I went to the bay front in Downtown St. Augustine to watch the annual Veteran’s Day parade. It was a beautiful display of patriotism and the atmosphere was exhilarating! St. Augustine High’s band and JROTC program was fabulous, and I am so touched and thrilled to see our local youth become involved in something as important as honoring our veterans! My family has served in the military for over 100 years, with my brother Stephen serving in the Navy and his son Ben now serving in the Army! I am so grateful to every single service member for their fight to keep America free, and to their families for the sacrifices they have made to support those who serve! May God bless you and keep you! Explore the vast nature in Marineland with an eco-excursion from Marineland. What this consists of is a 2.5-hour kayak tour into the Marineland Matanzas Basin. While on this tour an expert will be focusing on things like the Atlantic bottlenose dolphin natural habitat. There is no prior kayaking experience needed either, this tour is offered from September – May. While St. Johns County has a vast array of golf courses both public and private, these are the top 5 courses in the county. Happy Golfing everyone! King & Bear: Located at the World Golf Village, the design of the course is a unique collaboration between Arnold Palmer and Jack Nicklaus. Experience truly spectacular forestry with exotic loblolly pines, majestic oak trees, and crystal clear lakes. This course is open to the public. Slammer & Squire: Conveniently located within the resort of World Golf, this course was designed by Bobby Weed with other design consultants like Sam Snead and Gene Sarazen. This course is open to the public. 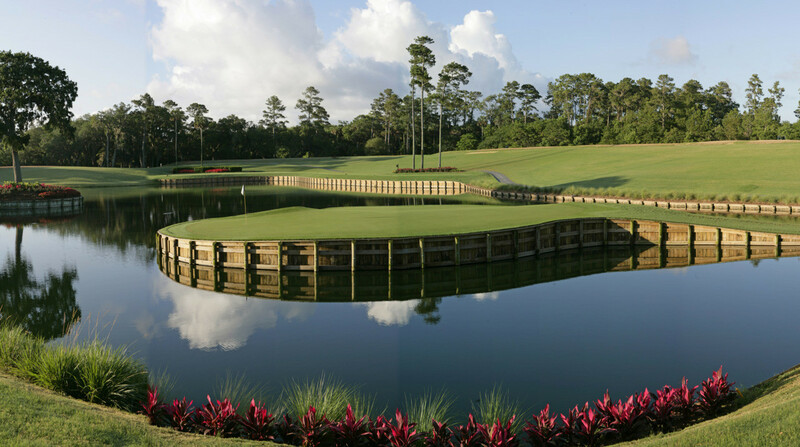 TPC Sawgrass: Known as being one of the best courses in the country, this course is located between Jacksonville, Florida, and St. Augustine Florida. Travel + Leisure Golf Magazine has awarded TPC with, “Top 10 Golf Course Resorts in the World”. This course is open to the public. Palencia Club: One of the greatest luxuries of this course is the location. Conveniently located within Palencia’s village center, golfer or not, there’s an experience for everyone. Whether it be golfing, fine dining, or a night out, this course has it all. Designed by Arthur Hill, this massive 7,701-yard course consists of ancient maritime oak trees and is along the Intracoastal Waterway. This a private course. Marsh Creek Country Club: The only private golf course located on the barrier island of Anastasia, Marsh Creek encourages golfers of all levels of experience to enjoy the course. There are six tee placements in order to accommodate all level of players. This is a private course.